Click below to download Raise Your Hand’s testimony to the Illinois State Board of Education’s Chicago Educational Facilities Task Force. I promise that there are lots of pictures, few words, and it won’t put you to sleep. Also, I got to meet some new people, a few who I have only interacted with on Twitter or have seen in photos so THAT was fun. Including CPS VP of Business Optimization, Jimm Dispensa. 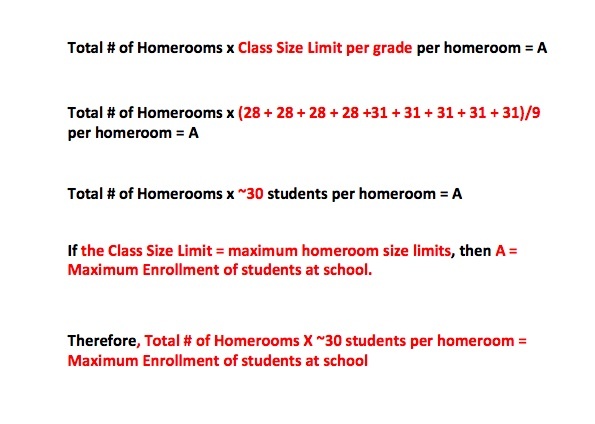 The main problem with CPS’ Space Utilization formula is that CPS is using the Total # of Homerooms x ~30 students per homeroom as THE MID-POINT OF THE EFFICIENCY RANGE (Ideal Enrollment) versus the MAXIMUM OF THE EFFICIENCY RANGE.